Wield consists of two settlements, Upper Wield, with the church, and the smaller Lower Wield. 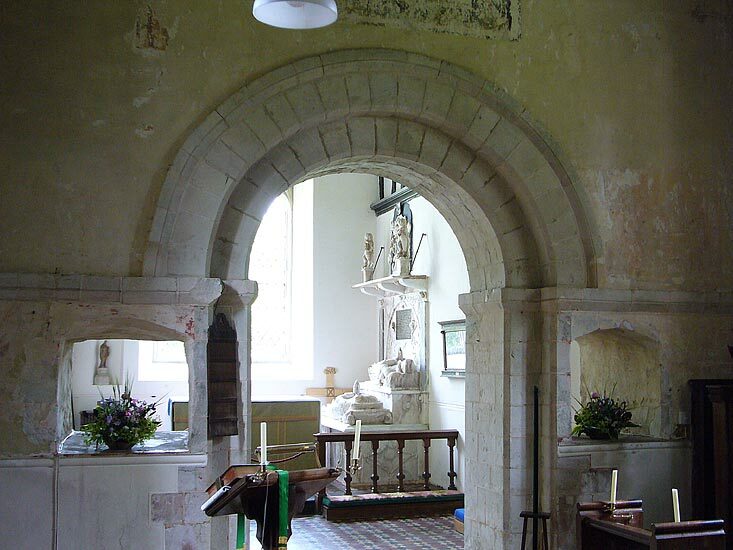 The church is of mid- to late-12th century, see the round-arched Norman doorways and the Norman chancel arch. 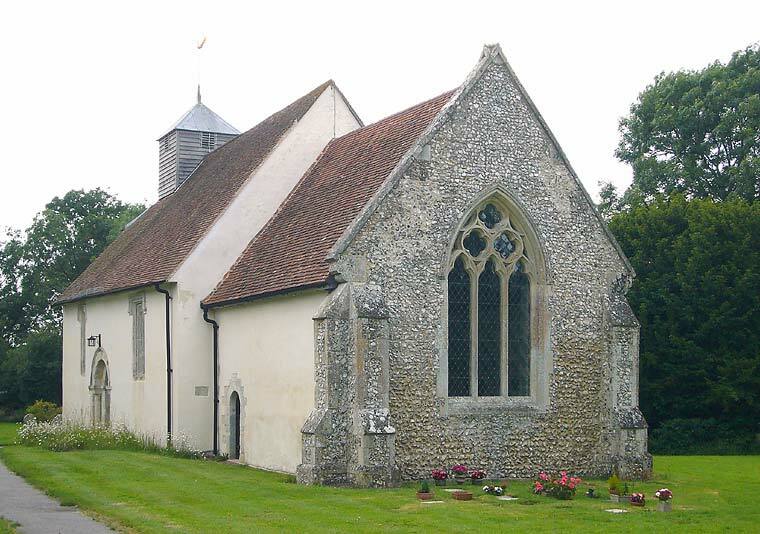 It consists of nave, chancel, and a weatherboarded bell-turret which contains a bell from the 15th century (cast by Roger Landen about 1448 at Wokingham). 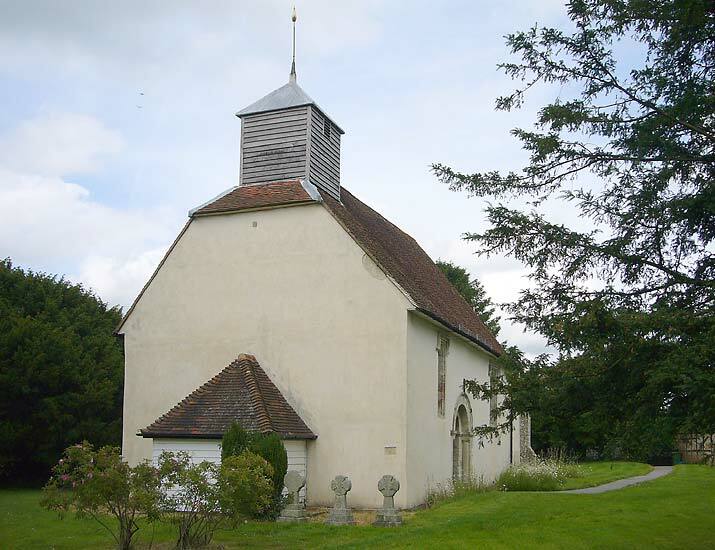 The bell-turret was built after the western tower was found unsafe in 1810 and removed. 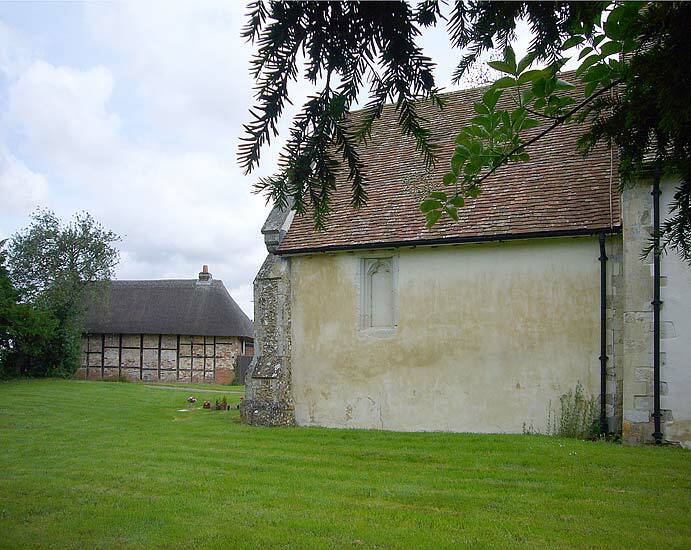 The exterior of the church is of flint covered with plaster and the tiled roof is thought to have been thatched originally. 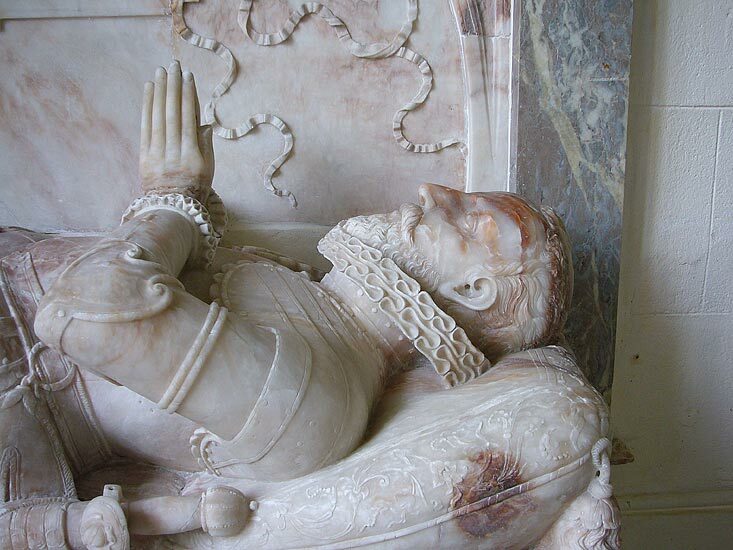 The beautiful alabaster monument depicted above and further down is of 1617. 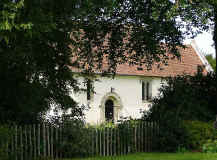 There was a general restoration of the church in 1884-5. 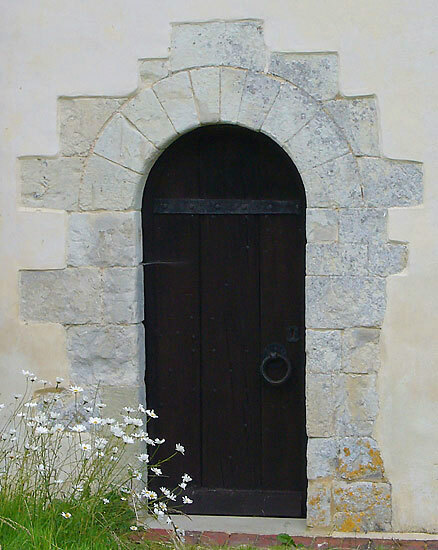 On the Norman south doorway, single stepped arch and one order of columns with scalloped capitals. 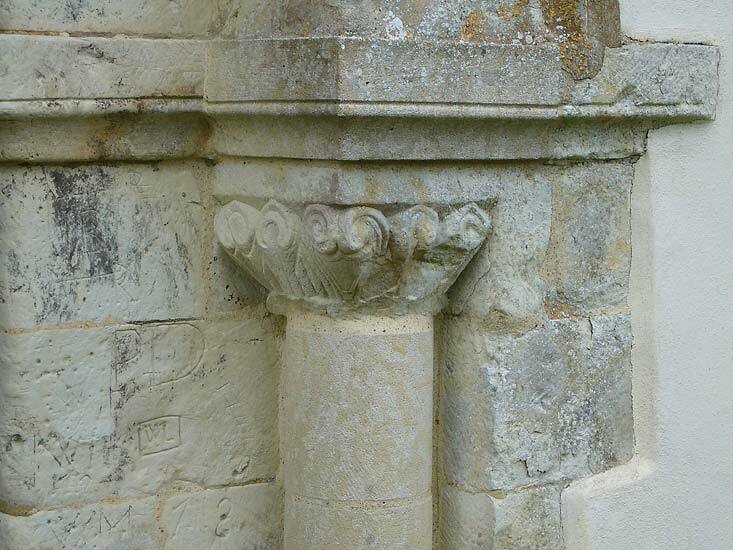 On the left side a Norman incised mass dial. 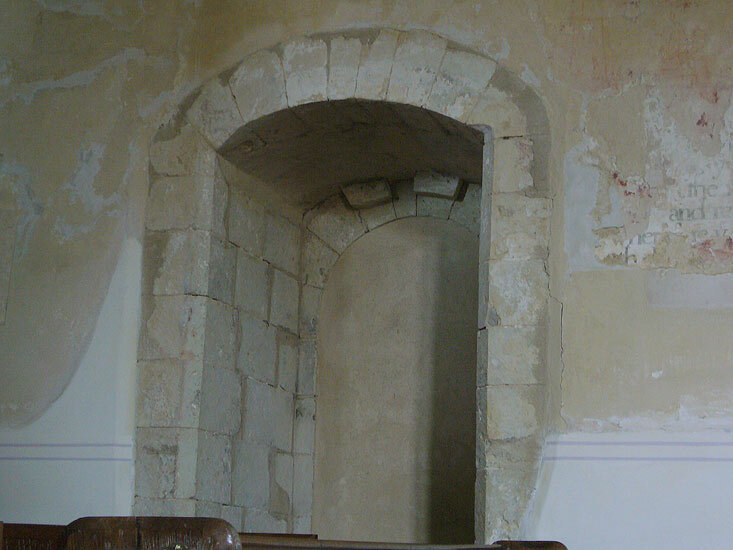 The priest's doorway in the chancel is plain. 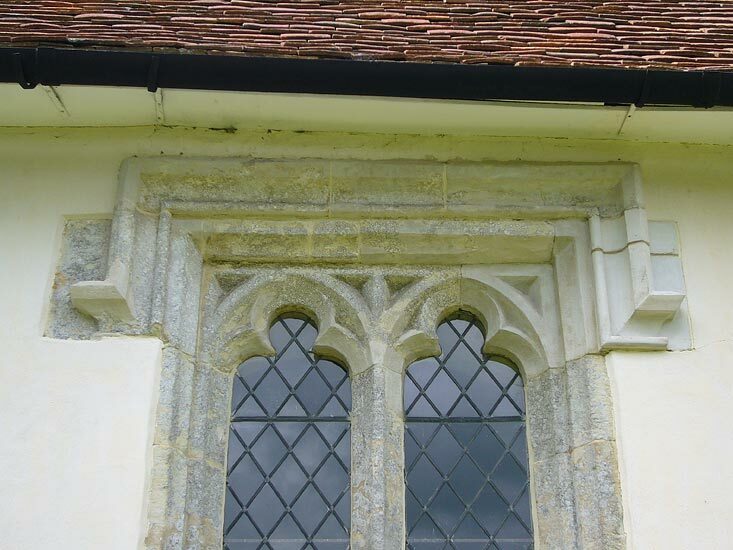 The nave windows date from the 12th century but were altered and enlarged at the beginning of the 15th century. 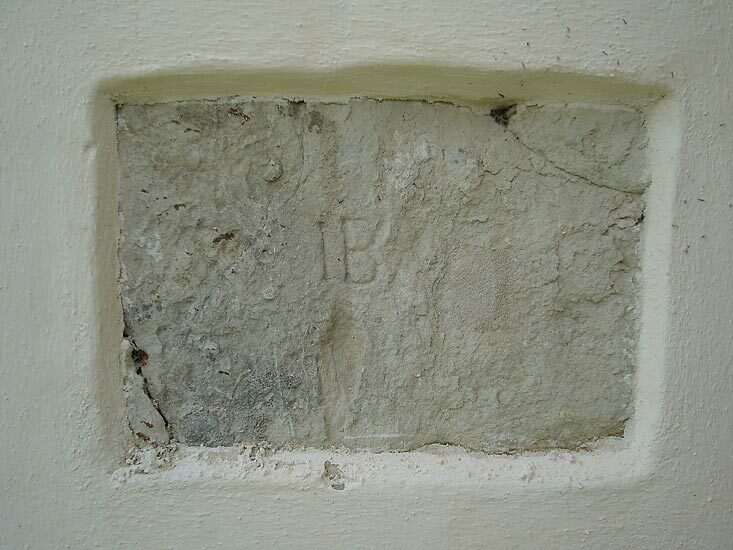 The plaster has been cut back in two places, on the west and east wall of the nave, revealing carved initials, including IB in both cases. I have no information on this. 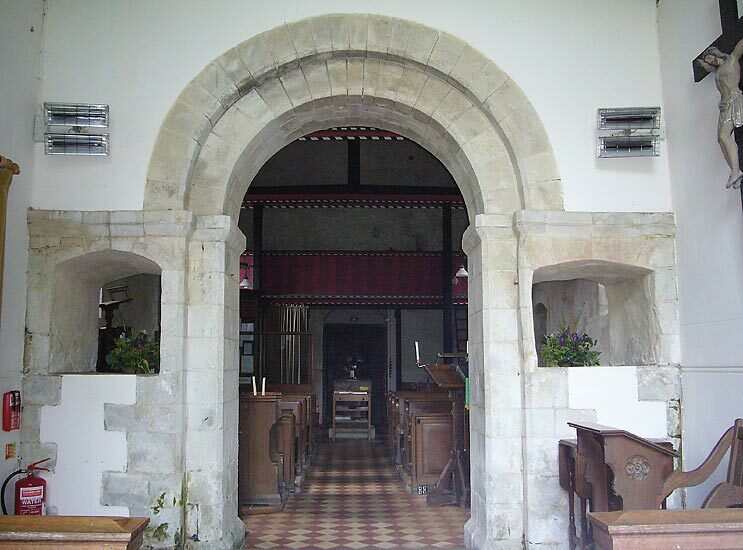 The Norman chancel arch of the 12th century has two slight chamfers. The squints on either side have been cut through much later. 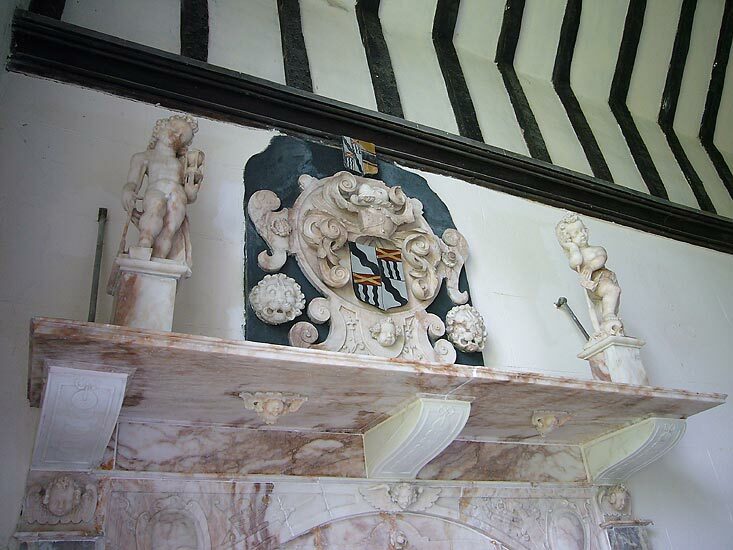 The Royal Arms over the chancel arch are those used by Queen Anne between 1702 and 1707. 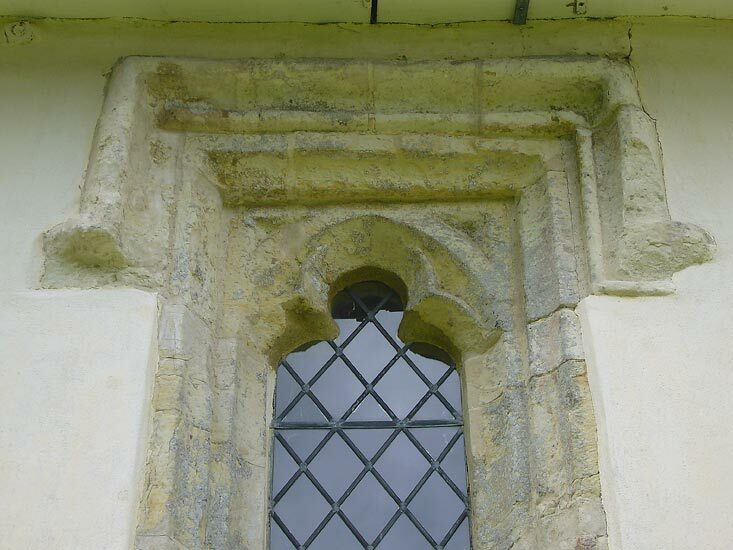 In the north wall of the nave beneath the window a 14th century trefoiled recess where an early nave altar may have stood. 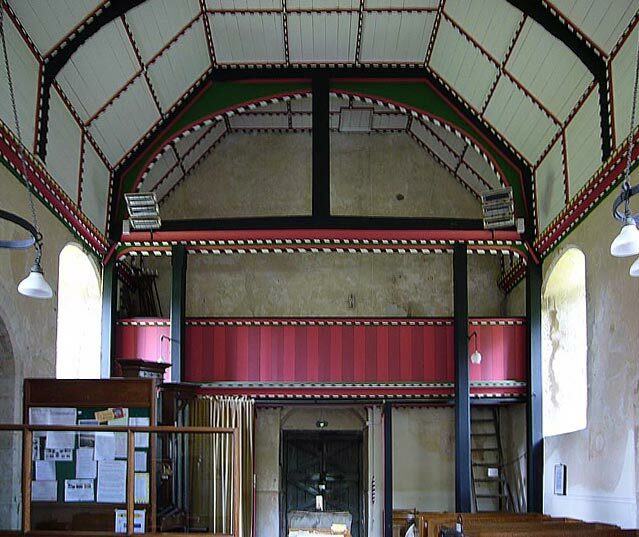 The ceiling and west gallery are probably Victorian, being described as 'modern' in the Victoria County History of 1908. 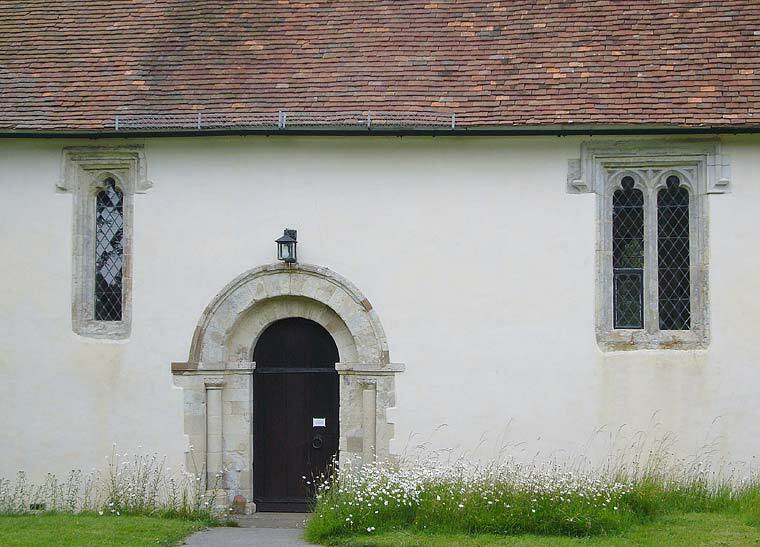 The gallery is no longer in use but was previously used by band and choir. 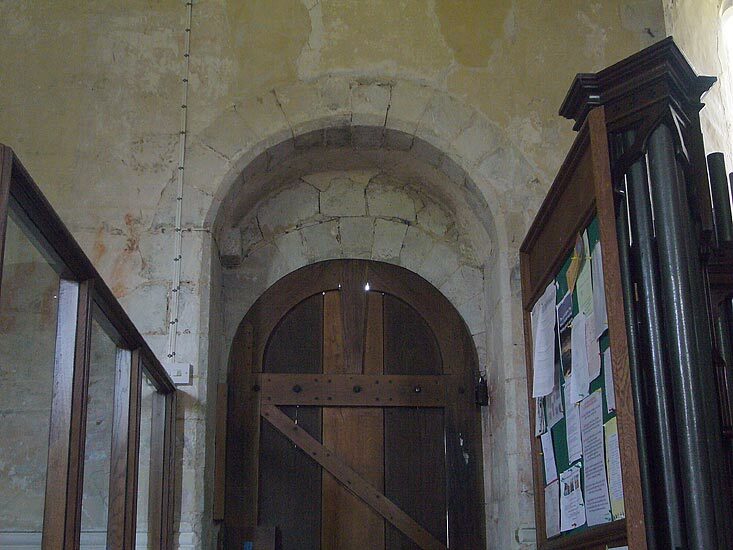 Inside of the south and north Norman doors of the nave. 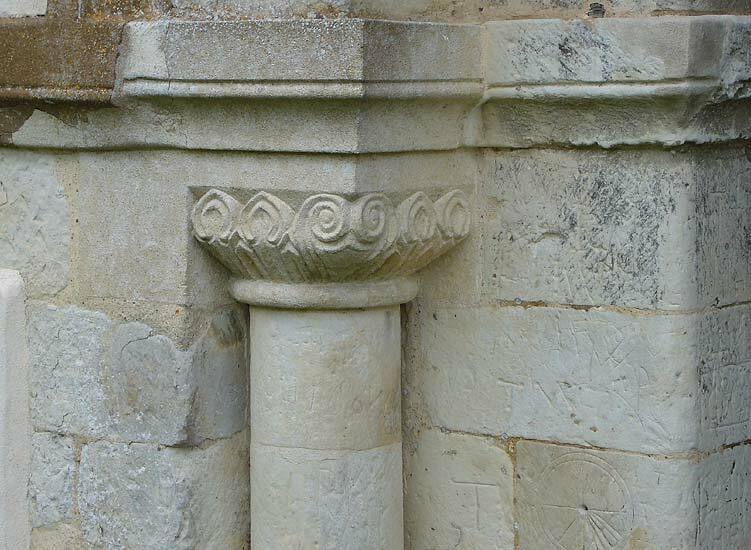 The font of around 1200 is of Purbeck marble and has six flat arches to each side. 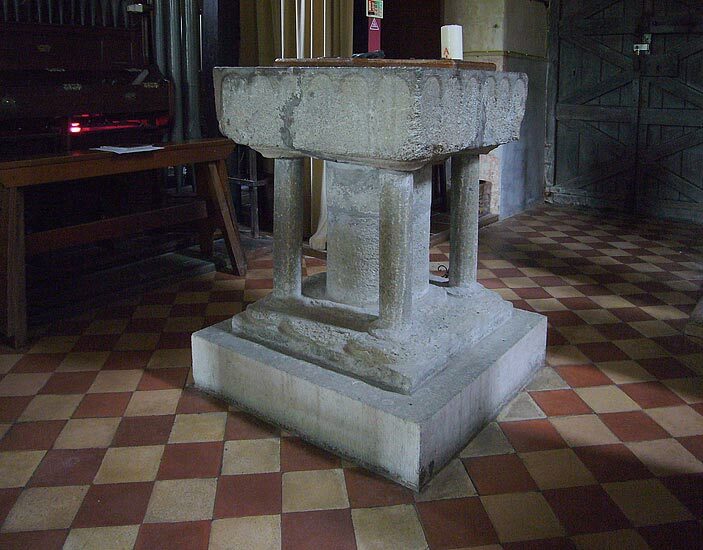 It was found in a garden in the Close at Winchester and was presented to the church about 1900. 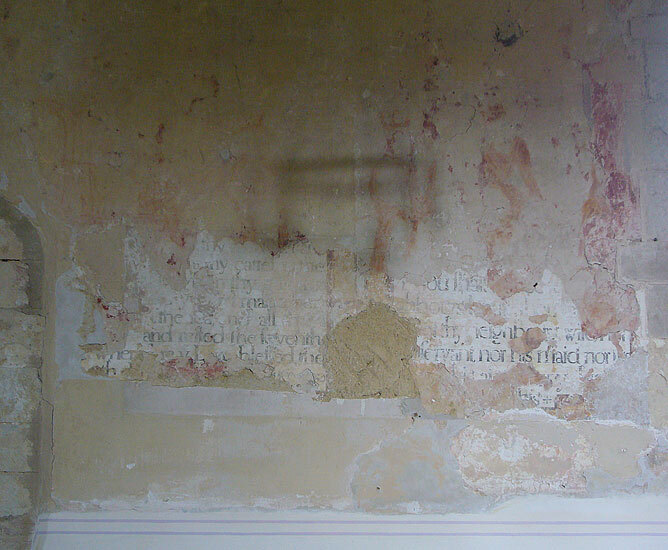 Wall paintings were uncovered during restoration work in 1932. 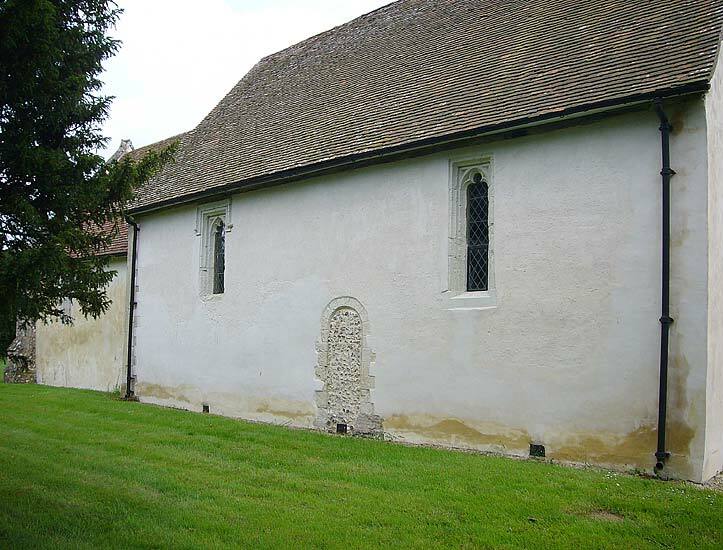 Here detail of the north wall of the nave. 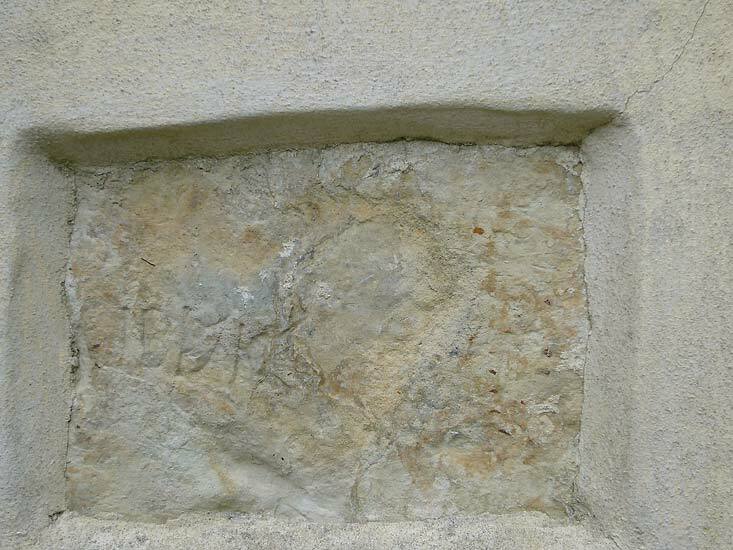 Three layers of different periods have been found, the earliest probably from the end of the 13th century, the latest from the 17th century consisting of the Commandments. 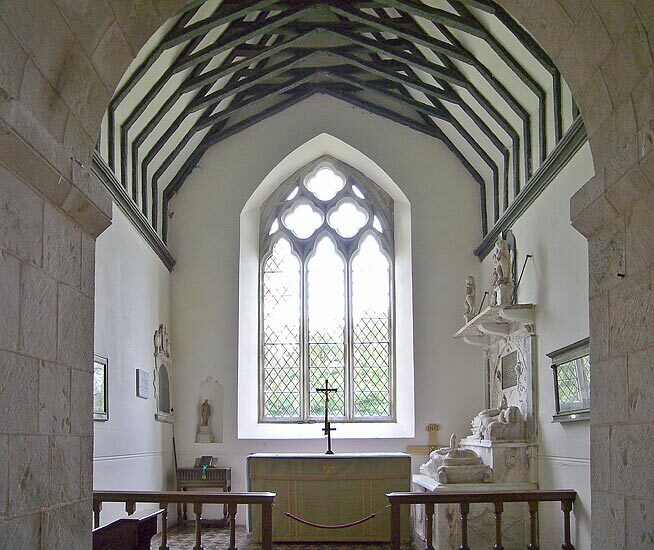 The first picture shows the chancel with the position of the Wallop alabaster effigies described below. The east window in the chancel was inserted by the Earl of Portsmouth (family name Wallop) in 1874, in a style of the late 13th century. 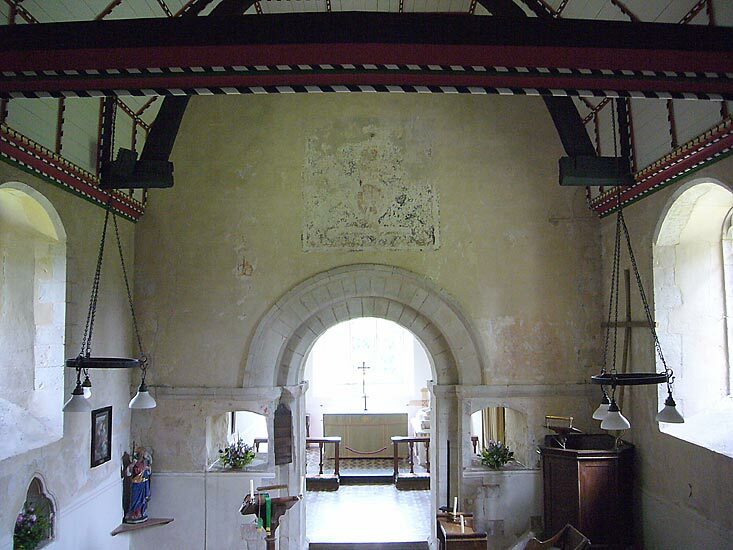 The second picture shows the chancel arch from the chancel side. 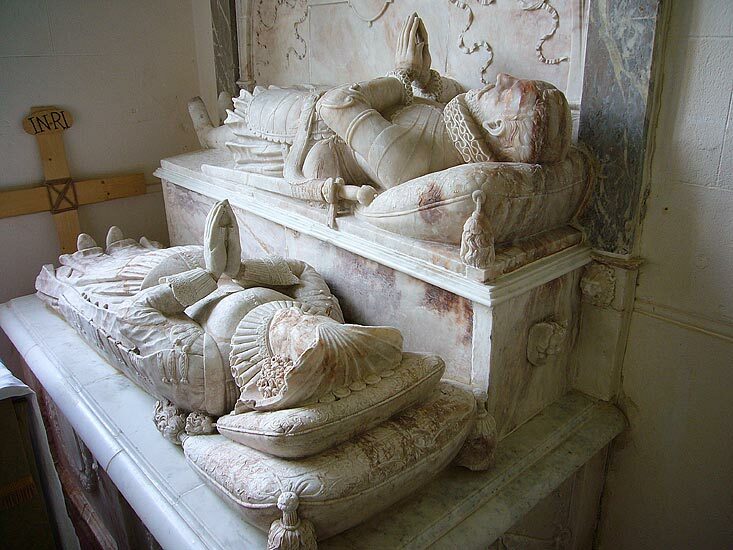 The monument is to William Waloppe, Esq., and his third wife, Margery, who outlived him. He died at the age of 84 without issue. 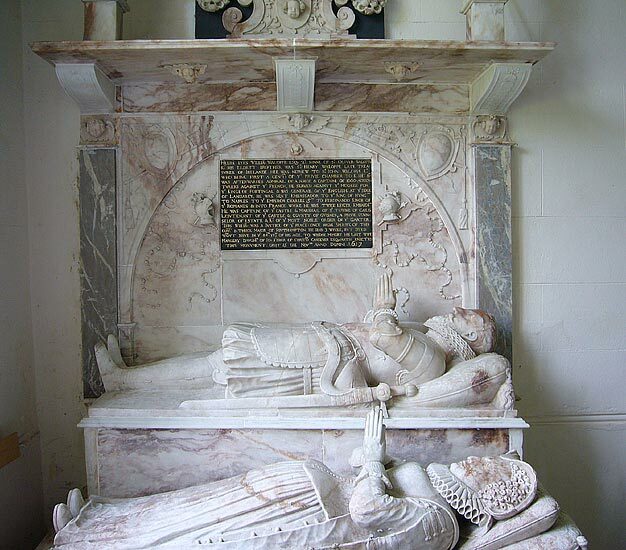 He came of an ancient Hampshire family that was already established in Saxon times. In fact the plaque on the monument appears to tell us more of his illustrious uncle Sir John Waloppe than of himself (see photo). William Waloppe (usually spelt Wallop) was M.P. 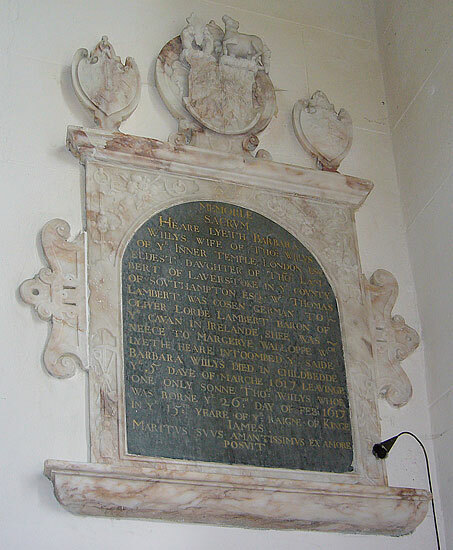 for Lymington, High Sheriff of the County, and Mayor of Southampton. 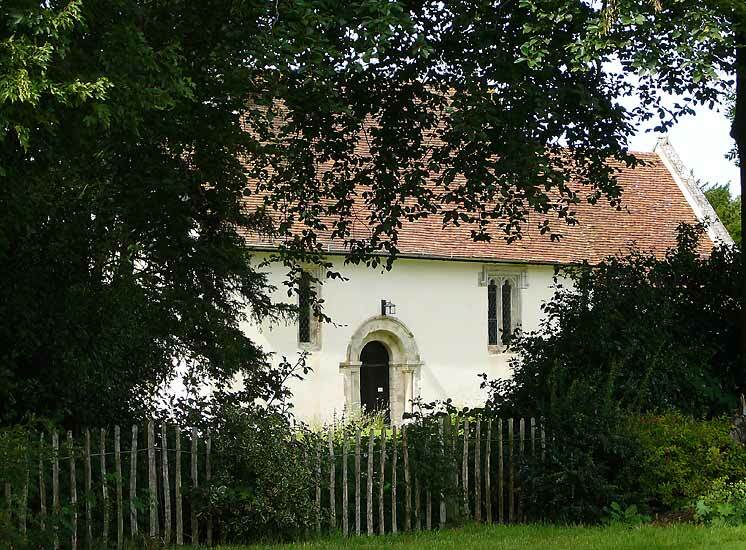 In 1591 Queen Elizabeth visited the village in order to call upon him in his newly built mansion house on the green. 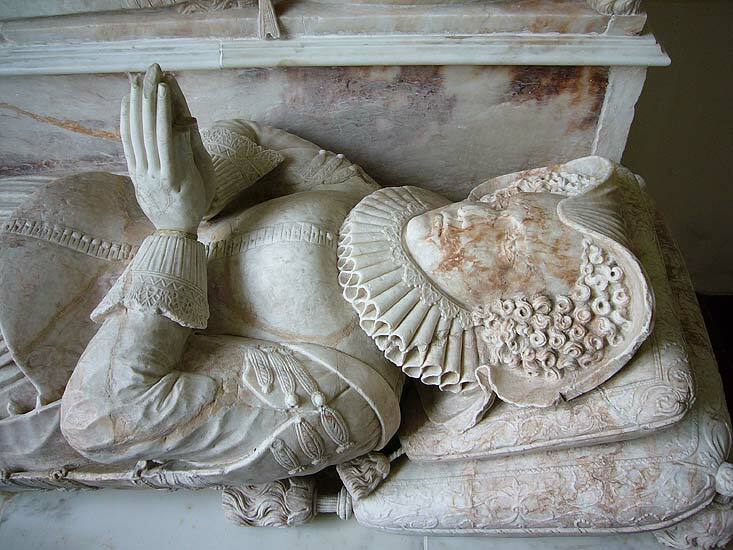 In his will he allotted £50 to be spent on his tomb, mentioning "my own white armour". 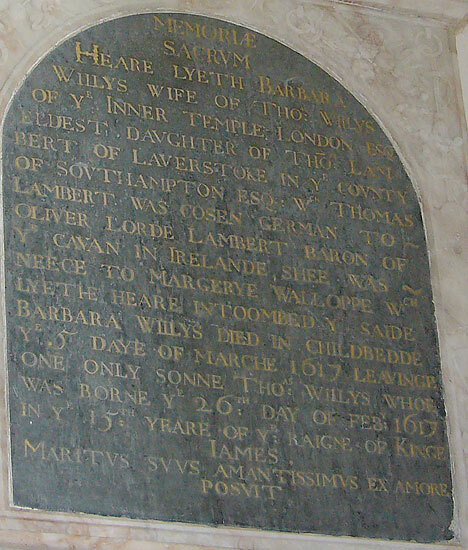 On the opposite side of the chancel a memorial to a niece of Margery Waloppe who died the same year as William Waloppe.